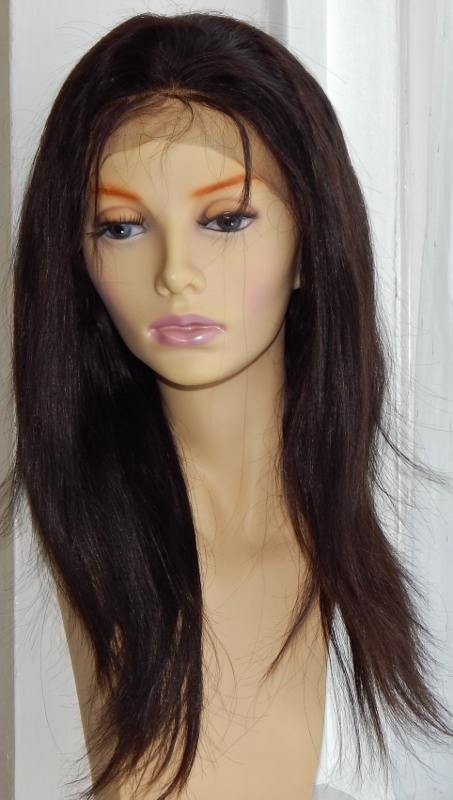 Full Lace Wigs, 18" Straight - The Stella Dark Brown Look - 100% Remy Hair. Colour: #2-#4, dark brown. The wig was dyed this colour and dyeing it a lighter colour would require first lifting its current colour. 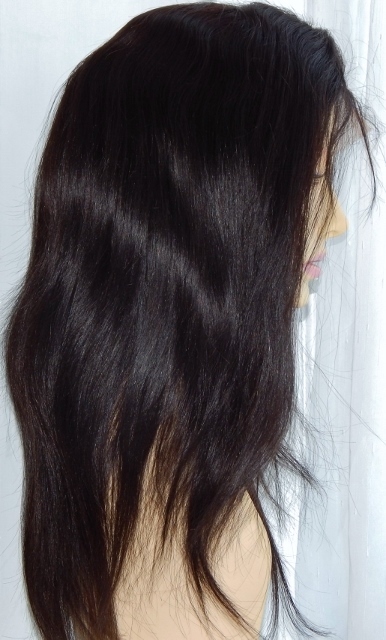 The Stella Silky Straight look for full lace wigs is simply put, elegantly simple. Its super straight texture is a favourite with those who have naturally straight to curly growth hair - and thanks to popular R'n'B singers this straight texture has become increasingly wearable for those with afro hair textures. As it’s a human hair wig, you can get your curling iron out of the cupboard and make curly whenever you like, better still to preserve the quality of your full lace wig, why not wet set it with rollers after washing. The cap construction of these full lace Remy wigs means they’re adaptable and can be worn whether you have growth hair or not. This is a medium length wig and so complements oval faces – you can view our wigs by face shape guide for more information. At 18 inches, those with rectangular/oblong faces may think that it will elongate the face but as it reaches just below the shoulders this will be avoided (it's very long hair that tends to emphasize the length of longer faces - if it's still a concern, just remember that an off-centre partings or waves or curls we be sure to balance your features. This wig is popular with those with heart and round shaped faces as it will balance the width of the face; the length will also soften jawlines of square shaped faces. All in all it’s a really versatile wig. The colour suits all skin tones.